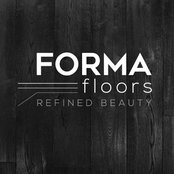 Forma Floors, LLC carries a wide variety of hardwood, laminate, and porcelain tile flooring as well as modern wall coverings and stylish high-end Italian magnetic doors. We pride ourselves on bringing a totally new concept to the market of luxury hardwood floors while also offering high quality flooring in all other more budget friendly segments. We offer state of the art products that will amaze even the most demanding customers. Our uniquely handcrafted custom designs will dramatically enhance the look of any home or business. Superior merchandise is not the only area that sets us apart from the competition. Forma Floors’ extraordinary customer service is our greatest distinction. Every member of our team is continuously trained on how to meet and exceed all of our customers’ expectations. We are fast. We are reliable. And most importantly, Forma Floors, LLC is dedicated to ensuring that every aspect of the sales, installation and post-sales process are as smooth as possible. At Forma Floors, LLC, we understand and respect the fact that your time is a critical and irreplaceable resource. Therefore, accuracy in meeting deadlines is paramount.